There are just some things we can’t control such as accidents, diseases, famine, and the weather. Sure, rain can be great for our crops and plants, but what happens if it escalates to hailstorms when balls of ice smash on the ground hitting everything on it? Hailstorms are frightening, as we all know. No matter how little or big hailstones may be, it’s no question that they’re capable of wreaking havoc on everything around us. They’re strong enough to destroy our properties, including our homes and vehicles, bringing harm to both humans and animals. Cars are no strangers to being victims of such a catastrophic weather disturbance. As much as you don’t want your beloved Porsche or Ford to get dents and scratches, it’s just something you can’t avoid. Before you take your damaged automobile to an auto repair shop, be sure to know the total cost and breakdown of its repair. Keep in mind that the price of hail-damage repairs differs for every car shops. We recommend you ask around for the price appraisals first. The average cost to repair private passenger vehicles is estimated to be around $2,500. One of the factors in determining the cost of repair is the extent of the damage done. 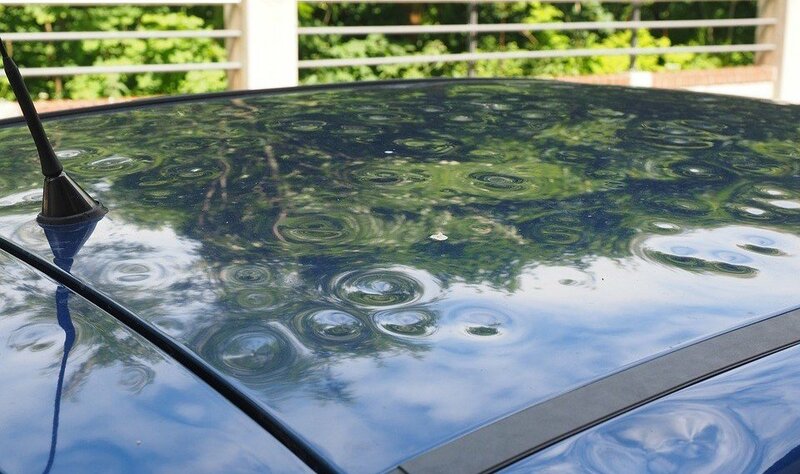 Small dents, which are found in the trunk, hood, or the roof of your car, usually cost $30 to $45. Medium dents would cost you around $40 to $55 while fixing large and major dents has a price range of $75 to $85. If dents are light and minor, having your car fixed isn’t needed anymore. Just leave it in under the sun for several days and your damaged vehicle will “heal” on its own. It is also important that you know your deductible when determining the cost of repair. Deductible information can be found in the insurance policy. Car owners with $500 deductibles are required to pay that much before their insurance company covers the costs associated with the repair. However, regardless of the amount of your deductible, there’s a huge chance that the cost of hail-damage repair on your automobile will exceed your deductible. The last thing to consider when factoring your vehicle’s restoration costs is the type of repair done on it. There are repair shops that charge an unreasonable amount for paintless dent removal (PDR). To get an idea of how much it would cost you to repair your automobile, check out the PARS certified, a paintless dent removal company. In such cases, PDR is not necessary, and your mechanic will give you several other options to choose from. Probably the most common question to ask after one’s car gets hit by a hailstorm is whether their vehicle is covered by their insurance policy or not. There’s not really a definite answer for this. While car insurance policies cover both hail and storm damages, comprehensive coverage should be purchased first before damage takes place. Insurance providers put a hold on comprehensive coverage when a storm is predicted to make a landfall. At the same time, you will be held liable for all physical damage if you weren’t able to get coverage before the hold was in place. Can’t find your insurance company on this list? Contact Flood Smart at 888-379-9531 or simply go to their website. You’ll be asked to provide details such as your name and zip code, and they’ll come up with the information you need. An automobile that’s been severely damaged by a powerful hailstorm won’t guarantee you an attractive spot in the market. Sure enough, you’ll find yourself spending bucks for its repair before you finally get to sell it to prospective buyers. This is why handing it over to Veteran Car Donations sounds like the ideal solution. Donating a vehicle to us is really quick and convenient. We offer free towing services in all states of the country. Just let us know where and when you want us to pick up your damaged vehicle, and we will come to your place in no time. 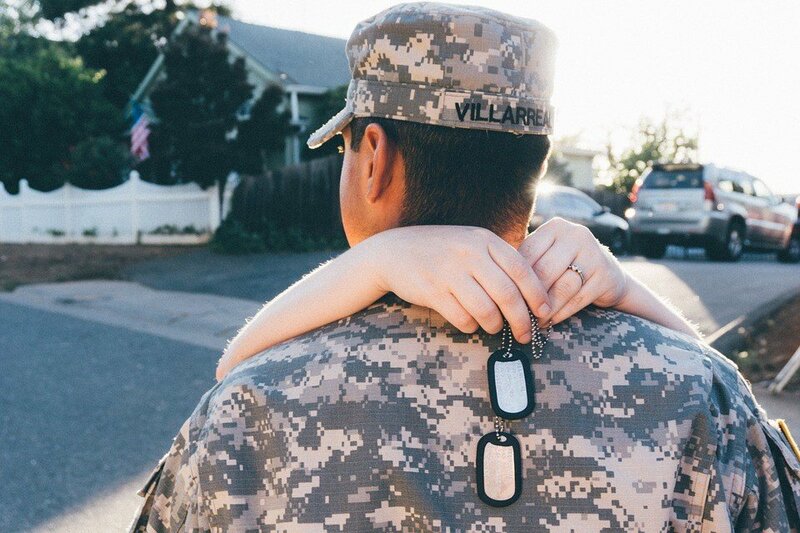 In case you’re wondering how your car donation would help our former troops, we’ll be using it to fund several reputable nonprofits that we have partnered with. These are Homes For Our Troops, Soldiers’ Angels, Heroes on the Water, and Healing Arizona Veterans. Many of our retired military men and women will be able to enjoy these life-changing benefits, thanks to your donation of your hail-damaged vehicles. If you have any questions regarding our car donation process or any related matter, feel free to call us at 877-594-5822. You can also visit our FAQ’s page or send us a message online. As our way of thanking you for your generous deed, we will promptly process your tax-deduction papers as soon as your donated car is sold at auction. Once you receive from us your 100-percent tax-deductible sales receipt in the mail, you can use this to enjoy a hefty tax write-off, using your car’s final selling price as the basis of your tax deduction claim when you file your itemized federal income tax return for the next tax-filing season. You’ll also get free and fast towing services among the many great rewards we’ll give you for supporting our cause. That’s why if you happen to have hail-damaged vehicles just sitting in your garage and the estimated cost for their repair is just too much for you to handle, you might as well get rid of them for a meaningful and worthy cause by donating them to us at Veteran Car Donations. You have no idea how many lives your donated vehicles will help transform. Call us at 877-594-5822 and get started with your car donation!